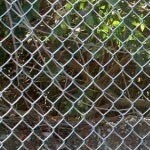 What do I need to know before installing a fence? 1). Check the rules/guidelines of your neighborhood association. They generally have guidelines on fence height, how far the fence needs to be set from sidewalks and property lines and if your project requires a building permit. 2) We recommend a property survey. The survey will ensure that the property lines are properly defined, and you don’t end up with challenges from your neighbors after the fence is built. 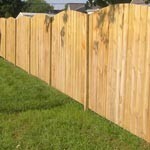 You and your neighbors want to both be happy with your new fence. 3) Hartlage Fence Company will secure a BUD for you. This is known as a Before You Dig ticket. One less thing for you to worry about! What if I need a fence around my swimming pool? If your home has a pool, it must have a fence. Check with your local municipality to confirm the rules about that, as well. 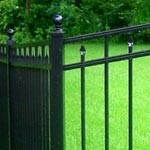 Typically, fences around pools must be at least four feet high with a self latching gate. 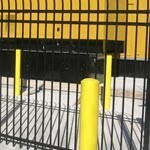 The cost of the fence is based on the linear feet of the materials plus the number of gates, posts and labor involved. We will need to measure off the space where you want to put the fence. We always want you to be there, so you can ask questions, but we may be able to come out and measure if you can’t be there, it’s up to you! Our goal is to make this easy for you! Click here to schedule a free estimate. How do I decide which type of fence or materials to use? We will help you with that! Our experts will work to determine your needs and can help advise you on the appropriate materials: Wood, PVC, vinyl, ornamental, chain link, etc. don’t worry, we will be with you throughout the process. Do you sell the supplies if I decide to DIY? Yes, we sell everything you will need to get the project done. Our offices are located at 7911 3rd Street Road. Yes, we accept major credit cards from Mastercard, Visa, American Express, and Discover. Do you make automated security gates?